Andhra Pradesh Public Service Commission, Hyderabad has announced notification of AP Panchayat Secretary Recruitment 2017 for the eligible candidates for recruitment to the post of Panchayat Secretary (Grade-IV) in AP Panchayat Raj Subordinate Service. Candidates who were willing to apply filled the Application Form online as per scheduled date. All the candidates who are interested can check the complete information of AP Panchayat Secretary Notification 2017 like Application process, eligibility criteria, exam pattern, selection process etc through this page below. Latest: The Merit list with correct GRL Number to the Notification No.29/2016 Panchayat Secretary (Grade – IV) in A.P. 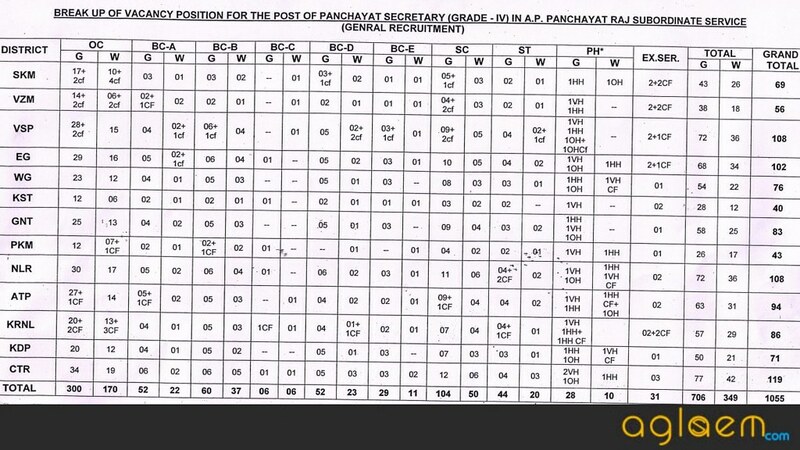 Panchayat Raj Subordinate Service has been declared, check the “Result” in the quick links. Total No. of Vacancies – 1055 Break-up of vacancy position: Click here to check. Age Limit – Between No person shall be eligible for direct recruitment if he/she is less than 18 years of age and if he/she is more than 42 years of age as on 01/07/2016. Selection Process – Selection of the candidates will be made on the basis of Merit prepared on the basis of Computer-Based Main Examination. How to Apply – Application form for APPSC Panchayat Secretary Recruitment 2017 can be filled online at official website of APPSC. 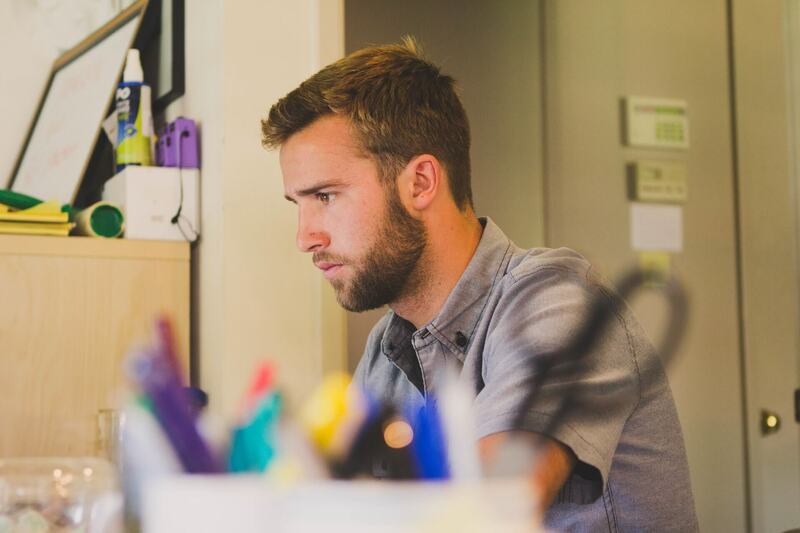 Candidates have to pay the application fee to complete the process of application form. Educational Qualification – Must have passed the Degree from any University in India established or incorporated by or under a Central Act, State Act or a Provincial Act or an Institution recognized by the University Grants Commission. Age Limit – No person shall be eligible for direct recruitment if he/she is less than 18 years of age and if he/she is more than 42 years of age as on 01/07/2016. Reservation to the Local candidates is applicable as provided in the Rules and as amended from time to time as in force on the date of notification. The candidates claiming reservation as Local candidates should obtain the required Study Certificate(s) (from IV Class to X Class or SSC) OR Residence Certificate in the proforma only for those candidates who have not studied in any Educational Institutions as the case may be. The relevant certificates with authorized signature shall be produced as and when required. Negative Marks: As per G.O.Ms. No.235, Finance (HR-I, Plg & Policy) Dept., Dt. 06/12/2016, for each wrong answer, will be penalized with 1/3rd of the marks prescribed for the question. The Commission would publish on its website, the key, after conduct of the examination. Any objections with regard to the key and any other matter shall be filed with in one week of the publication of the key on the website of the Commission. The objections if any would be examined and the decision of the Commission in this regard shall be final. Any objection filed after expiry of one week from the date of publication of key would not be entertained. Basics of General Science and their relevance to the day to day life. Current developments in science, technology and information technology. Paper II: Rural Development and Problems in Rural Areas with special reference to Andhra Pradesh.